Writing is not just a job, it’s my passion. I began my copywriting career almost twenty years ago, initially working for two consumer PR agencies and then within the script department at ITV Studios in Leeds. Following this, I worked as a web editor and copywriter for two in-house marketing departments before becoming a freelance content writer . SEO copywriting and blog writing for the web are two of my particular strengths and I have also gained substantial experience in proof reading and editing web copy and offline marketing collateral. 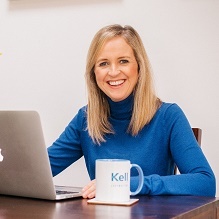 If you’d like to find out more about the copywriting services I can offer your business, please feel free to contact me I’d love to hear from you. Just to prove you are a human, please solve the equation: 19 + 8 = ?